The Developer’s plan to construct Turbine 5, in advance of the other 6, so that it could be commissioned by the last day of OFGEM’s Renewables Obligation Certificate grace period (31/1/19) was only revealed when construction began in November. Construction progressed at breakneck speed, often at night, without discharge of any of the pre-commencement conditions or permission for works on Common Land. The access arrangements used are outside the planning permission granted. Powys CC maintained throughout that they were “monitoring construction”. They agreed construction was in breach of planning conditions but claimed that it was not “expedient” to enforce against the Developer. 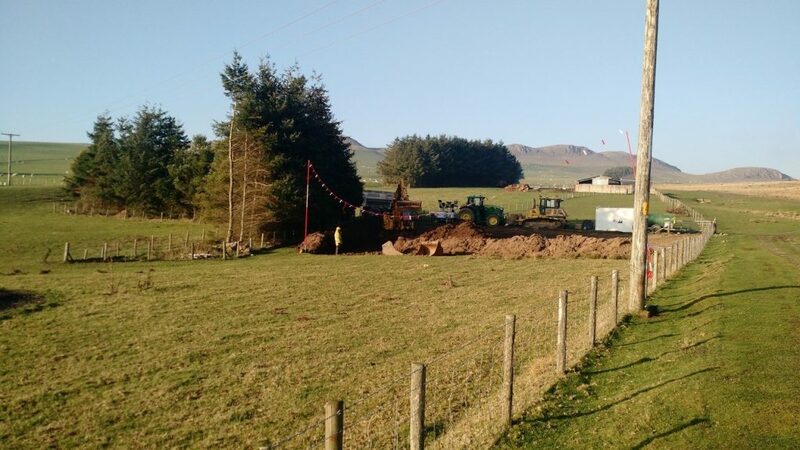 BRB-CPRW obtained a temporary injunction against concrete pouring, but this was lifted in court when the Developer argued the urgent need to get accreditation for subsidies for the 7-turbine wind farm and produced a letter from NRW stating that concrete pouring would not cause significant harm. Groups of protesters exercising their rights to walk on common land have been met by a sizeable, and sometimes threatening, private security force and numerous police. 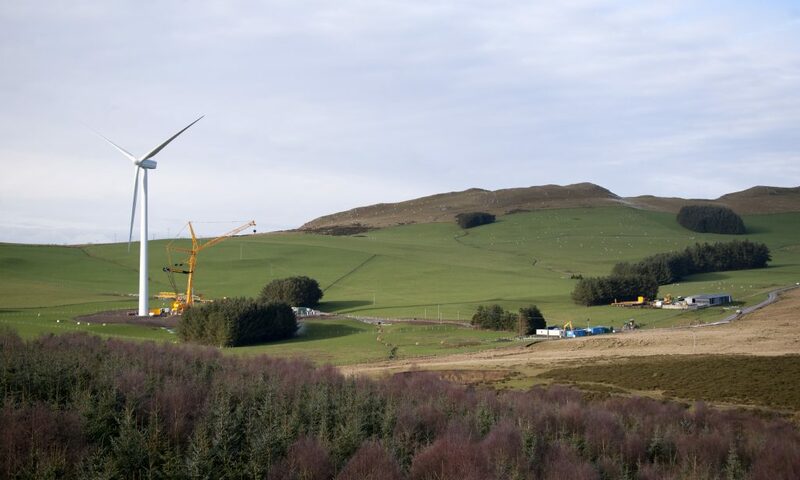 Turbine 5 is now built and the second construction phase is due to start without any clear undertaking about what access will be constructed. It has been extremely disappointing to witness the Developer being able to flout the environmental safeguards contained in the planning conditions and to construct without permission thus making a mockery of the entire planning system. This project continues to raise serious doubts about the integrity of the Welsh Planning System. With the generous help from CPRW members and the wider public, BRB-CPRW is continuing the battle and has requested a Permission Hearing to pursue the challenge to Lesley Griffiths’ decision and issued a Pre–Action letter to Powys about their failure to control development. The Committee submitted objections to the Developer’s applications to discharge the pre-commencement conditions. Enforcement update: On 6th December Powys Planning Officer Holly-Ann Hobbs wrote to residents this update on the Council’s enforcement investigation. This is deeply dismaying, not only because of the environmental vandalism which is taking place now at Llandegley, but also because of the disastrous precedent Powys is creating. CPRW Brecon & Radnor branch have taken legal advice and will be guided by counsel in responding to this extraordinary situation. 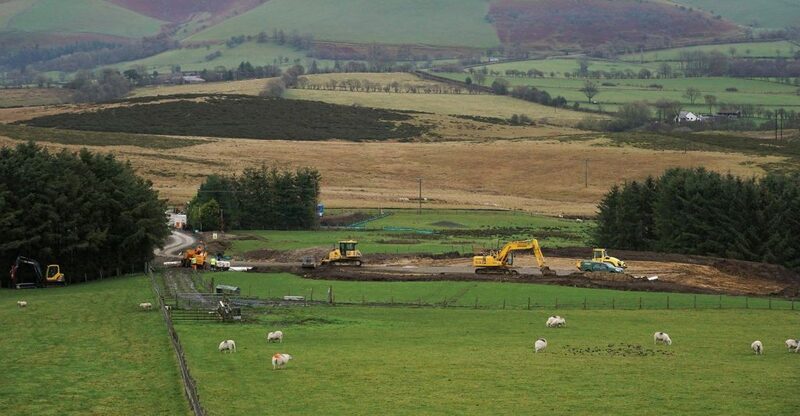 Since residents first advised Powys Development Management that work had begun on the foundation for turbine 5 on 27th November, the development has moved on at pace. Piles have been delivered to site on 6th December. The site of the turbine is close to the headwaters of the River Edw, which a little downstream is designated as a Special Area of Conservation, and merits the highest standard of protection. The construction works on site are currently entirely ungoverned by any agreed site management plans for the protection of the environment and its ecology. 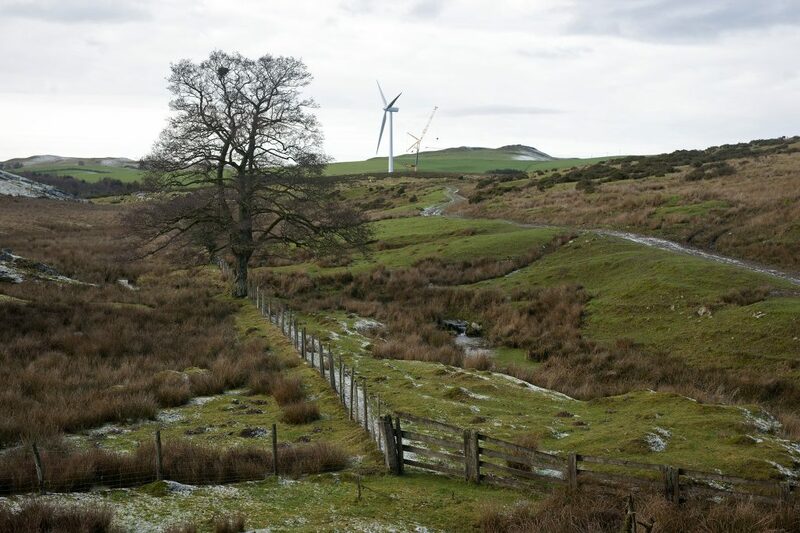 CPRW Brecon & Radnor Branch, with CPRW national support, has engaged a barrister to help challenge Leslie Griffiths’ decision to allow Hendy Wind Farm. The proposed Hendy wind farm sits in a beautiful and much loved historic landscape which we and so many others have been fighting to protect from inappropriate development. At the same time, the precedent the Minister’s decision creates is so important to the future of rural Wales we decided there was no real choice but to bring a legal challenge. Hendy Wind Farm was refused by Powys Planning Committee in May 2017. Following the applicant’s appeal, the Inspector conducted an Inquiry lasting two weeks in March 2018, during which he studied the (ever changing) development plans, visited the site several times, and heard the evidence and cross examination of expert witnesses and of local residents. Based on all this evidence, the Inspector’s lengthy and considered report recommended refusal of the wind farm on the grounds that ‘the combined harm to landscape and heritage matters significantly outweigh the identified benefits’. In arriving at this conclusion the Inspector had taken into account the benefit of providing renewable energy and the requirements of the Well-Being of Future Generations Act. November 2018: Hendy Wind Farm works started on Llandegley Rhos. Llandegley Rocks in the background. 27 November 2018: Is this a turbine foundation being dug? Never before this decision by Lesley Griffiths, has a Welsh Government Minister overturned a wind farm recommendation by the Planning Inspectorate on the grounds that the national interest in providing wind energy outweighs significant landscape harm and damage to heritage assets. The argument that renewable energy can automatically outweigh any harmful impacts of a development defeats the purpose of a planning system which seeks to achieve a balance of planning considerations, and development at an appropriate scale in appropriate locations. If this decision stands, it will be an important test case that will make it very difficult to protect any Welsh landscapes outside the National Parks and Areas of Outstanding Natural Beauty. 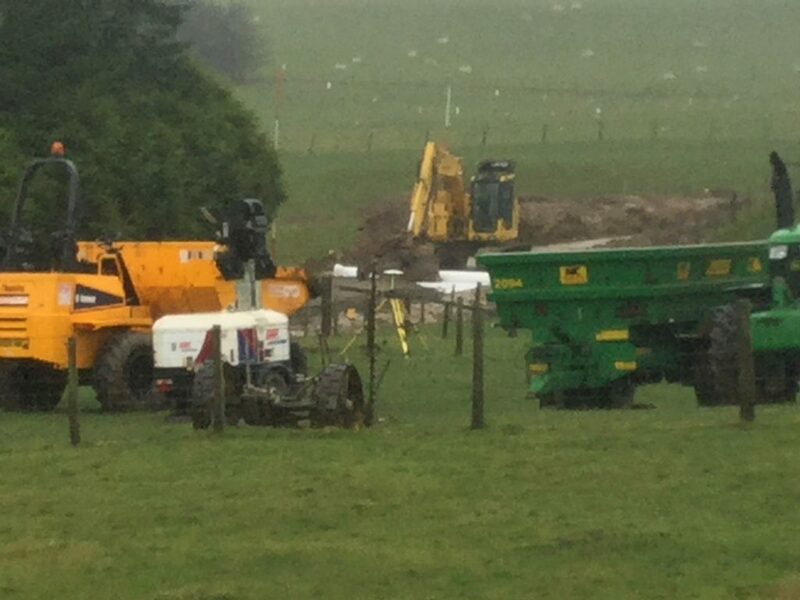 It is extremely important to record the arrival of any construction vehicles and any construction activity taking place on the Llandegley Rhos Common or on the wind farm site to the west of the common and report this immediately to us and to Gwilym Davies, Planning Lead at Powys County Council (gwilym.davies@powys.gov.uk). You will find the applications to discharge planning conditions on this LINK . Type Llandegley in the search box (towards the bottom of the page). You may find the documents and information supplied in some of these applications inadequate or inappropriate to satisfy the conditions which you will find at the end of the Minister’s decision letter.